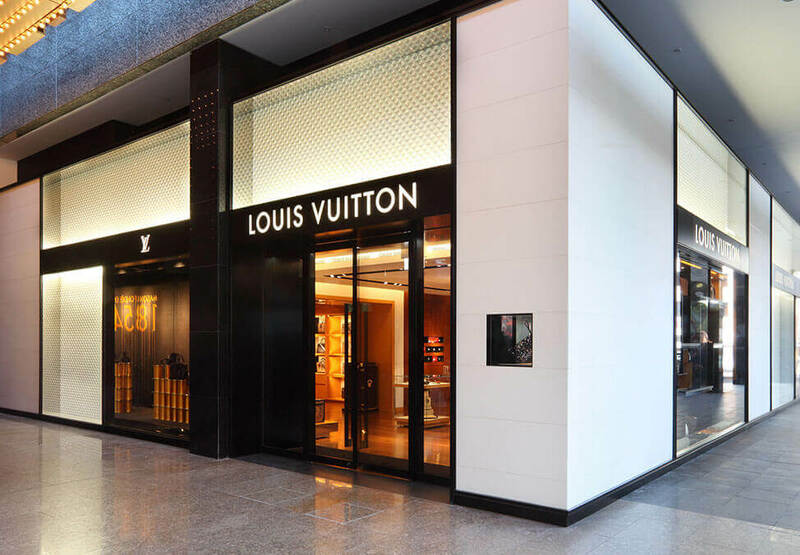 The Louis Vuitton Crown Melbourne boutique was designed by the Louis Vuitton store projects team in Paris, in 2010 and exhibits some of the House's most contemporary architectural concepts. On approach from Whiteman and Queensbridge Streets, visitors can see the striking illuminated glass façade incorporating the iconic Monogram flower pattern. The boutique carries the latest product offerings in luggage, leathergoods, watches, shoes, accessories, sunglasses, ties, belts, agendas, writing instruments, and textiles.